Yes, you did read that right! :-) I've recently discovered Weekly Christmas Card Challenges and thought what a great way to get all my Christmas cards made before the last minute! For this card, I chose a sentiment from one of my favorite stamp sets, Heard from the Heart. I really like the clean and simple look of this card. 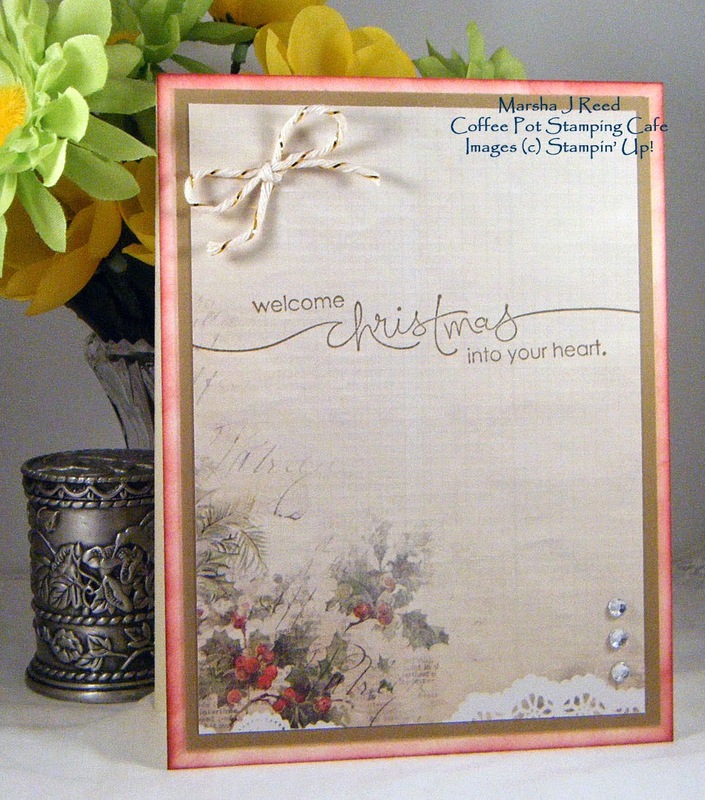 If you'd like to check out the Weekly Christmas Card Challenge, you can click HERE. This is gorgeous. I love the papers and the gorgeous font of the sentiment. So glad you found us at Christmas Card Challenges.